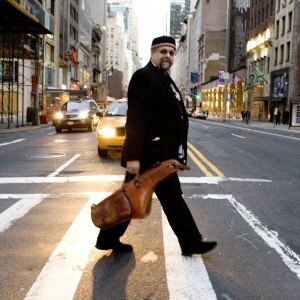 Joseph Salvatore Lovano was born in Cleveland, Ohio on December 29, 1952 and grew up in a very musical household. His dad, Tony, aka Big T, was a barber by day and a big-toned tenor player at night. “Big T,” along with his brothers Nick and Joe, other tenor players, and Carl, a bebop trumpeter, made sure Joe’s exposure to Jazz and the saxophone were early and constant. 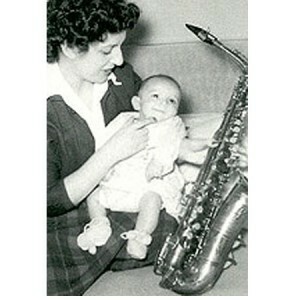 Joe’s mom, Josephine, and her sister Rose were serious listeners, as well, His Mom remembers hearing Big T play opposite Stan Getz and Flip Phillips when they were engaged. And Aunt Rose went to hear Jazz at the Philharmonic with Ella Fitzgerald when they came through Cleveland. Not surprisingly, Joe began playing the alto at five, switching to the tenor a few years later. By the time he got his driver’s license at sixteen, Joe Lovano was a member of the Musician’s Union, Local 4, and working professionally. He started playing club dates (sometimes subbing for his dad), and Motown cover bands, eventually saving enough money from these gigs to put himself through college. After high school, Joe attended Berklee and his college years were pivotal, a precursor of future collaborations and career opportunities. Joe had been searching for a way to incorporate the fire and spirituality of late-period John Coltrane into more traditional settings and at Berklee, he found it, discovering modal harmony. During his Boston years, Joe was part of a vibrant scene, always jamming and meeting new musicians, something he has done his entire life. To finance his education, he continued working club dates and other assorted gigs, including an organ trio engagement he shared with future Nonet member George Garzone down in Boston’s combat zone. 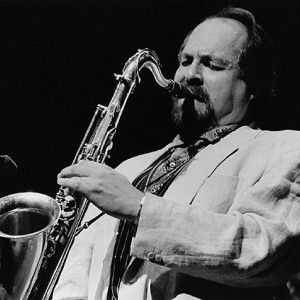 His Berklee instructors also played a key role in his development, including Herb Pomeroy, who led the big band, Joe Viola, head of the saxophone department, Andy McGee, a saxophone teacher renown for his advanced improvisation concepts, the inspiring improvisation instructor John LaPorta, and Gary Burton. Joe was in Burton’s number one ensemble during the vibist’s first semester on the faculty at Berklee. Post-Berklee, after six weeks on the road backing Tom Jones, Joe returned to Cleveland. With his reputation ascending, he soon got the call from Dr. Lonnie Smith, who was living in Detroit at the time. Joe joined the organist for a series of gigs in the Motor City, as well touring on the Chitlin circuit in 1974. A six month tenure with Brother Jack McDuff and the Heating System was next. 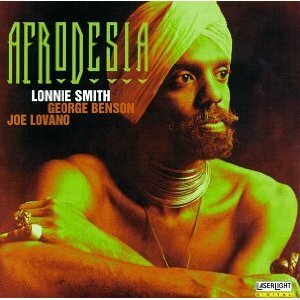 The album Joe recorded with Dr. Lonnie Smith, Afrodesia, started getting a lot of airplay on Jazz radio across the country at that same time, resulting some early name recognition when Joe worked new clubs with McDuff. 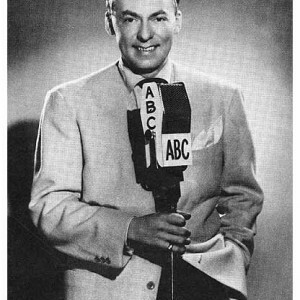 A few months after he relocated to New York, Joe joined Woody Herman’s 40th Anniversary tour in 1976, which included “The 40th Anniversary Concert” at Carnegie Hall. For his second Carnegie Hall appearance, Joe shared the stage with Stan Getz on the classic Early Autumn, and was a featured soloist during the celebration, along with Frank Tiberi, Zoot Sims, Al Cohn, Jimmy Guiffre and Flip Phillips. The importance of the event was not lost on Joe’s sister, Laura, and his Aunt Rose, who traveled from Cleveland for the gig. 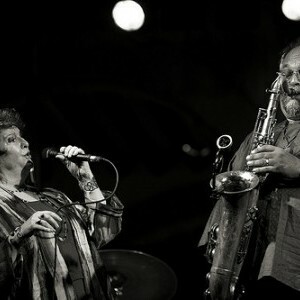 Joe Lovano’s three-year gig with Woody including many firsts, including touring Europe and playing major international festivals as a soloist. The band’s nearly non-stop schedule, with only two weeks off every year, included a number of colleges and high schools, where Joe had his first experiences doing workshops and master classes. After nearly three years on the road with Woody, Joe decided it was time to move on. He returned to New York, moving into a Chelsea loft that would be his home for the next twenty years. Thanks to his travels and playing experiences, he had already developed a network of great musicians. He began playing gigs, jamming, and playing with some of the best musicians on the planet. One of his musical collaborators was vocalist/dancer Judi Silvano. “My concept of sound and energy using distinct instrumentation and drawing ideas from the world of music started to take shape during this period. Judi’s sound, in particular, influenced ideas and feelings that were instrumental in opening up my concept about an ensemble sound that includes voice. I feel it gives my music a very organic, alive, human quality. In addition to their musical partnership, Joe and Judi began a life together outside of music. In 1980, Joe joined the Mel Lewis Orchestra when Bob Brookmeyer served as Musical Director, becoming part of the group’s weekly Monday night concert at the Village Vanguard for the next eleven years. 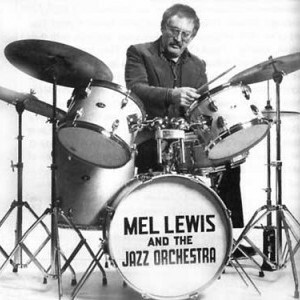 During his tenure with Mel’s band, Joe began working gigs as a leader, with Mel as his drummer. Tones, Shapes and Colors, was his first recording as a leader, a live date done at the Jazz Coalition Center in New York. In addition to his work with Woody and Mel, Joe also played in other large ensembles with Carla Bley, Bob Brookmeyer, Charlie Haden’s Liberation Music Orchestra and Gunther Schuller. These experiences served as the catlyst for creating his own musical environments utilzing larger ensembles, including his current Nonet. In 1981, Joe began playing with Paul Motian, in a Trio that included guitarist Bill Frisell. The group has just celebrated their 20th year together. Working with Motian helped Joe gain further exposure and renown, particularly in Europe. Riding the wave of his European success with Motian, Joe began touring as a leader, just after his first recording, for Soul Note, Tones, Shapes and Colors. He also began collaborating with some of Europe’s finest players, at the same time, teaching and doing workshops. During this period, Joe recorded as a leader for several other labels besides Italy’s Soul Note records, including Enja, Jazz Club, Label Bleu, and Owl. 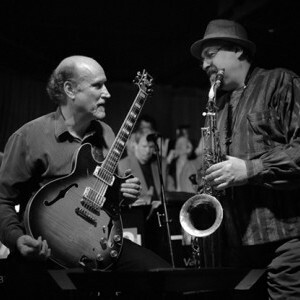 Joe’s next high profile gig that brought him more national and international attention was with guitarist John Scofield’s Quartet, with whom he recorded and toured from 1989 – 1993. 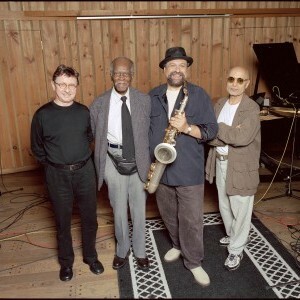 As his reputation escalated, Joe began recording and touring with the major Jazz musicians of the late 20th century, including: Gunther Schuller, Herbie Hancock, Elvin Jones, Charlie Haden, Carla Bley, Bobby Hutcherson, Dave Brubeck, Billy Higgins, Dave Holland, Ed Blackwell, Michel Petrucciani, Lee Konitz, Abbey Lincoln, Tom Harrell, McCoy Tyner, Jim Hall, and Bob Brookmeyer, among many others. In 1991, Joe Lovano signed with Blue Note Records and since then, has been leading his own groups, producing nearly twenty-five recordings as a leader and becoming one of the great Jazz artists of our time. The secret to Joe Lovano’s success is his fearless ability to challenge and push the conceptual and thematic choices he makes in a quest for new modes of artistic expression, further defining the Jazz idiom. Joe has long experimented with varying ensembles and formats, including playing unaccompanied saxophone and gongs, as well in duets, trios, quartets, quintets, his Wind Ensemble, Street Band and Nonet, all reflecting his searching and dynamic personality. As much a composer as player, Joe is constantly seeking new ways to express his muse. Although he’s one of the most successful musicians working today, his lifelong regime of practicing, jamming and trying new sounds, endures. In addition to his reed arsenal, Joe has a collection of gongs and a full drum sheet. At home, in his studio, he enjoys these multiple outlets for his creativity. He has played drums on three Blue Note recordings. Today, Joe and Judi live in the Hudson River Valley area of upstate New York. Although he’s busy touring and recording, Joe is an avid swimmer and somehow still finds the time for an occasional 18 holes of golf. When he’s home, Joe Lovano enjoys landscaping, a good match for Judi’s love of gardening. Together, when not making music, they explore the forest that surrounds them, stay busy enjoying their extended families in Cleveland and New York.